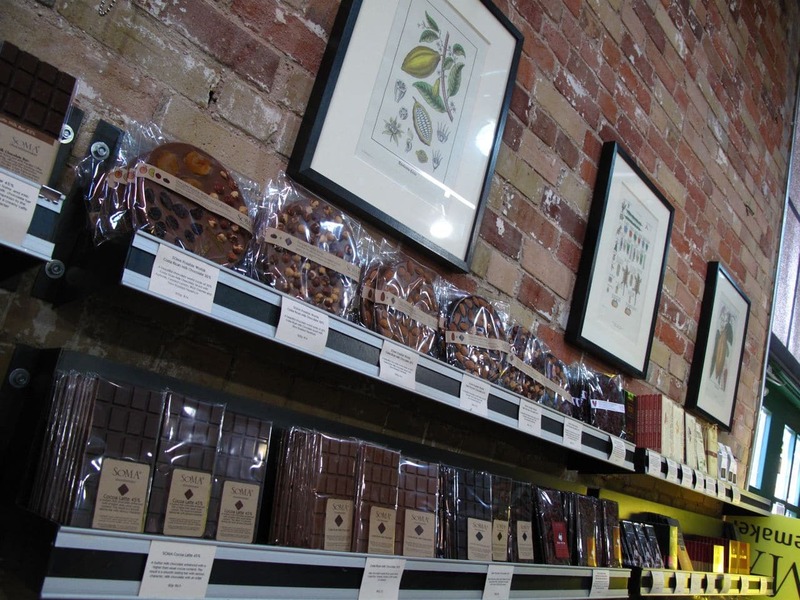 In the heart of Toronto’s Distillery District sits a beautiful little chocolate boutique. 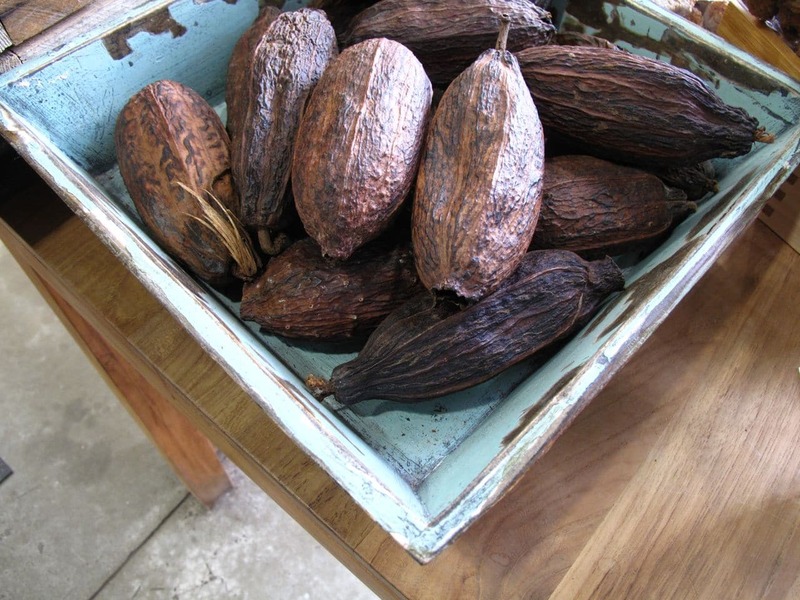 As soon as you step into SOMA Chocolate the dreamy smell of rich and earthy cocoa hits you in the face. Located on picturesque cobblestone adorned Mill Street, SOMA is both a chocolate factory, lab, boutique and cafe all rolled into one beautiful and heavenly smelling space. SOMA is one of the few artisan chocolate makers in North America that make chocolate in small batches directly from the raw cacao bean. 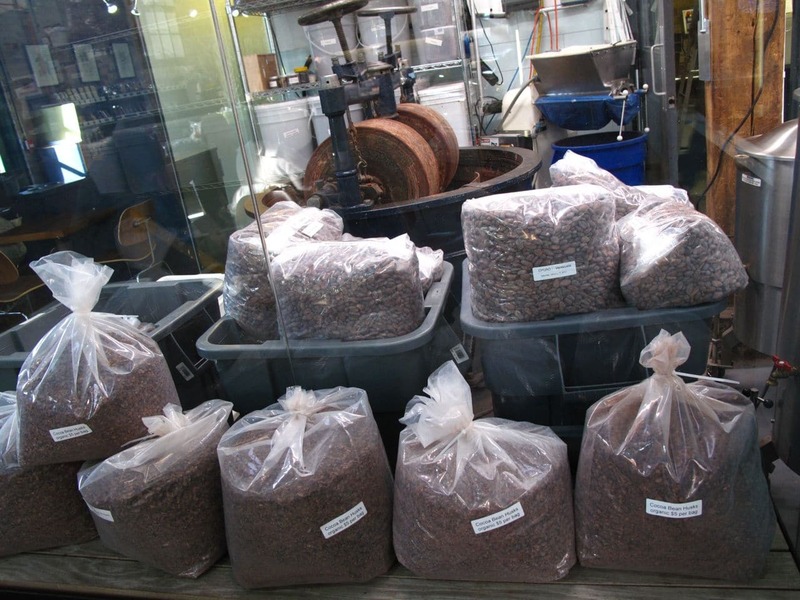 You can actually see bags of cacao labelled by their country of origin stacked across the store and in the laboratory. Owners David Castellan and Cynthia Leung source their beans from farms in exotic spots like Fazenda Boa Vista in Brazil, Somia Farms in Madagascar and Patanemo in Venezuala. 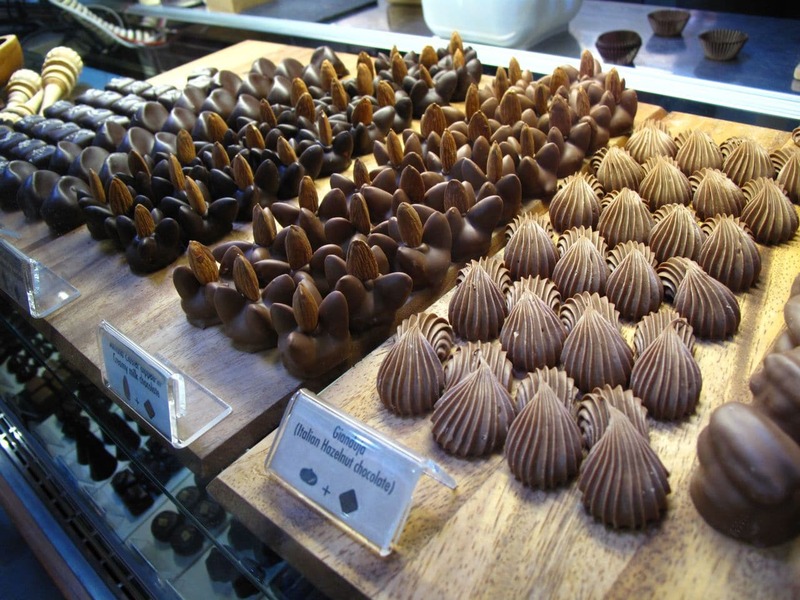 Visitors to SOMA become immersed in a world of chocolate and can see the workings of a micro-chocolate factory with viewing windows that showcase the chocolate makers busy making truffles, traditional Italian cookies and the shops signature drinking chocolate. Chocolate Nerds Rejoice!